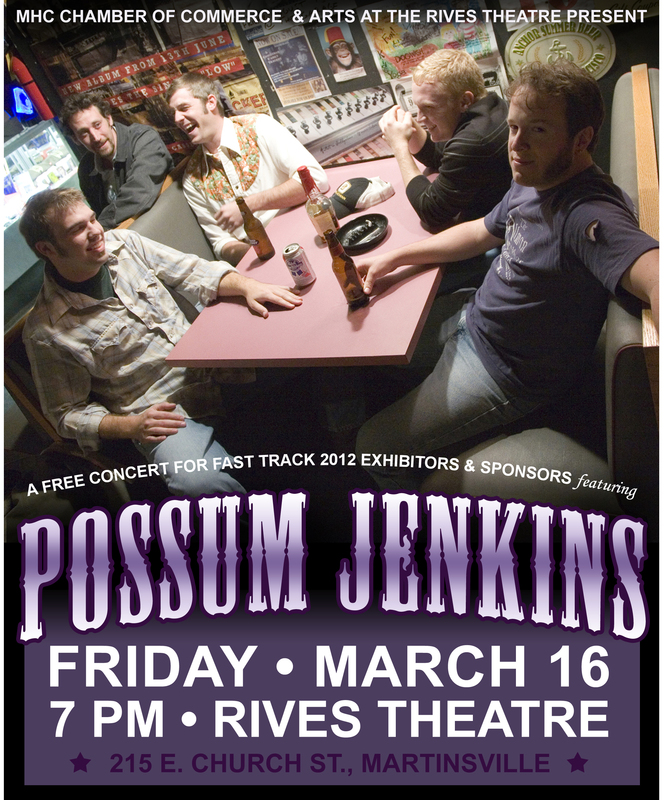 To show our appreciation for their support of Martinsville and Henry County’s business community, Fast Track 2012 Exhibitors are invited to join the Chamber of Commerce and Arts at the Rives Theatre for a complimentary concert in Uptown Martinsville’s historic Rives Theatre, featuring live music by POSSUM JENKINS. As always, your continued support of the Chamber and Arts at the Rives Theatre is greatly appreciated. For more information on attending this show, please call the Martinsville Henry County Chamber of Commerce at 276.632.6401.